Make playtime fun and Eco-friendly with the Wooly Wonkz Under The Sea Dog Toy - Hammerhead! 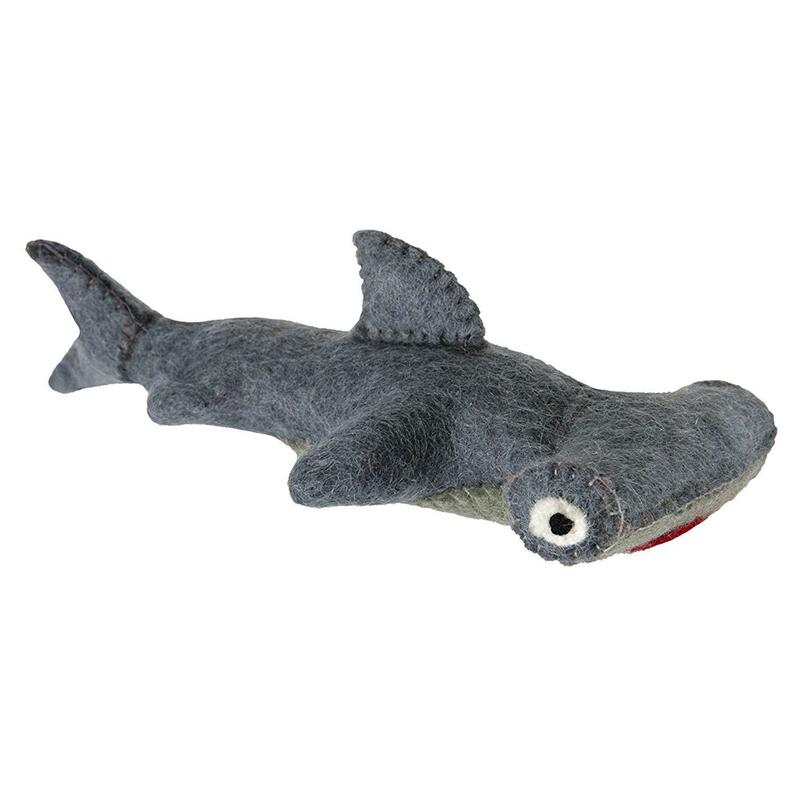 The Wooly Wonkz Under The Sea Dog Toy - Hammerhead is great for your eco-conscious dog! Softness your dogs crave will make playtime fun and safe. Since it is handmade lovingly in Nepal, colors and sizes may vary making each toy special. Made of 100% New Zealand wool with exciting squeaker inside. Great for teething puppies. Check out other Wooly Wonkz Dog Toys. Machine wash cold, delicate cycle. Air dry, do not iron, bleach, or dry clean. Baxterboo had a great selection of fun products for pets and animal lovers.